My daughters have come up with a new way to play – in my kitchen. The girls use their measuring spoons and other utensils and fill the pots and pans with water. 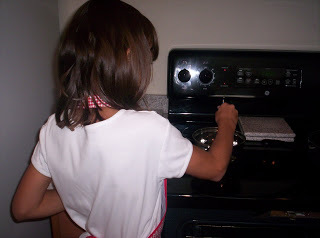 I’m glad that our girls enjoy pretending to cook and hope that they’ll continue to find pleasure in it when they’re old enough to do the real thing all by themselves! 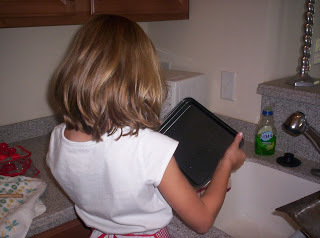 kids just love to mimic the jobs we do! my son loves to help brush the floor and mop! They are so cute! That is wonderful that they enjoy playing in the kitchen. 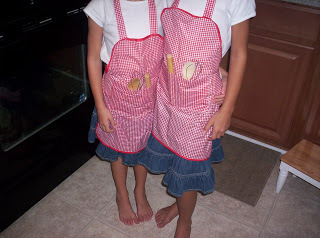 They look like they will be great cooks one day! OH how cute! 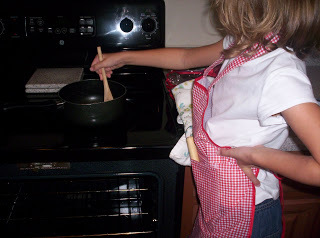 It's so important for our children to learn to be comfortable in the kitchen. You are doing a great job teaching that! Oh they are so darling! I love that they're doing that! When my kids were little I found a play kitchen at a yard sale for very cheap so I bought it. 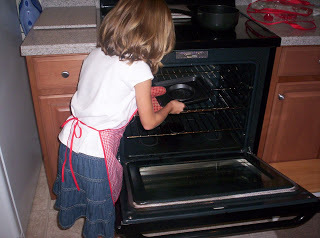 Since I had only boys I wasn't sure if it would get used, but the kids and their friends used to play "restaurant" and they would make up menus and everything.